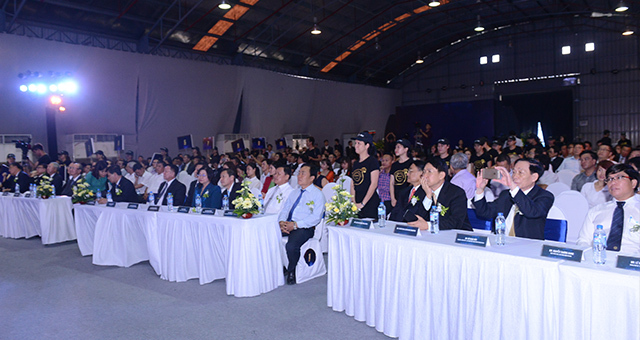 24th April 2017 – SCG Packaging goes full steam ahead in the packaging business in Vietnam with plans to expand the business and to develop new innovative packaging products to serve better domestic market as the company aims to strengthen its leadership in ASEAN with Hybrid Technology for Future Packaging. Kicking off 2017 with the latest packaging production line, this enables the company to become the largest packaging paper manufacturer in ASEAN. Mr. Sangchai Wiriyaumpaiwong, General Director, Vina Kraft Paper Co., Ltd. In SCG Packaging says “SCG Packaging aims to be a regional market leader, contributing to sustainable progress of ASEAN and the local communities where we operate, and focusing on the sustainable development concept along with good corporate governance to create a balance in economic, social, and environmental aspects in all of our operations. This one and a half year period of PM2 expansion project is another significant achievement of our growth strategy in the region”. 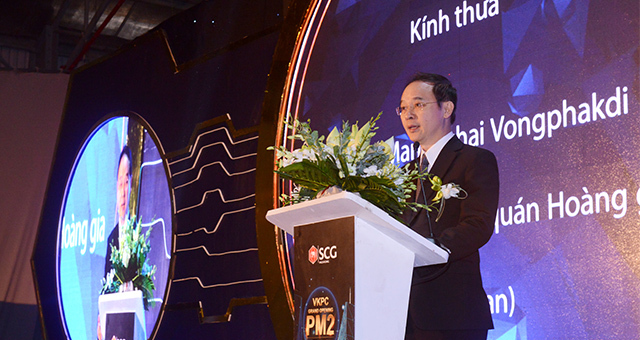 SCG Packaging believes that Vina Kraft will continue making a great contribution to Vietnam’s socio-economic development by supporting various industries for domestic consumption and export of Vietnam’s products, directly and indirectly increasing employment, reducing import and promoting the recycling of recovered paper for better environment and help distributing income to people who earn their living from recovered paper collection and selling. 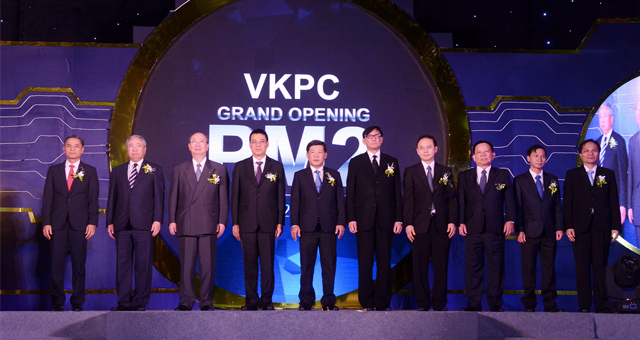 Vina Kraft Paper Co., Ltd., the biggest packaging paper manufacturer in Vietnam, is a joint venture between Siam Kraft Industry Co., Ltd., an affiliate of SCG Packaging in Thailand and Rengo Company Limited in Japan with the total investment cost of 330 million USD for the 380,000 sq.m. area to support the increasing demand of packaging paper in Vietnam. To maximize operational efficiency, we have expanded our production line in accordance with the global standards of technology, the Paper Machine: PM No.2 (Hybrid Technology for Future Packaging) for manufacturing the corrugating medium paper achieving the total production capacity of 500,000 tons per year. - Low Grammage Design which can give more value to customers by its ability to produce light weight paper with less fibers while maintaining desirable or higher quality and durability for customers. - Hybrid former with Dilution profile: enables the excellent paper formation and fiber bonding by arranging the fiber orientation in order to obtain a smooth appearance and desired strength. - Metering Sizer: can accurately control the consistency of sizing materials on the paper surface in order to strengthen the smooth surface. Green Process: Water and energy usage in the production process. • Disc filter: It is designed for recovering fiber mingled in the white water (fiber-rich back water) from the papermaking process. With its ability to separate the liquid and solid, it can recycle water efficiently resulted in decreasing the water consumption in the paper-making process. • Recycle water plant: With the efficient environmentally-friendly technology of effluent treatment system in Vina Kraft, the obtained treated water is at top quality standard as required by all relevant environmental regulations of Vietnam. Thus, it can be reused in process for minimizing the use of water consumption. • High Efficiency Screening System: It is the Japanese latest technology of fiber screening that can be operated in the papermaking process with less water and power consumptions. • Shoe Press: it is a paper-making technology that improves dewatering of the paper sheet at the wet pressing section. With its high pressure, the shoe press can strengthen the paper while reducing steam consumption in drying process at the dyer section.